I am equally caramel and marshmallow obsessed. After a 17 hour baking day, I've been known to whip up a batch of caramel, park in front of the t.v. and gnaw on the chewy stuff until my jaw hurts or I fall asleep, whichever comes first. And marshmallow? Forget it. I'm lost in the face of a pan of homemade sugar pillows. I even dream of caramel/marshmallow mash-ups. Shall I inject the marshmallow into the caramel? Should I hide the caramel in an otherwise innocent looking square of marshmallow? Dare I roll them up in a psychedelic pinwheel? Why yes! Yes I would dare! Line a half sheet pan with parchment. Spray lightly with non-stick cooking spray. Set aside. Place all ingredients in a large, heavy saucepan. Stir over low heat until the butter and sugar have melted. Attach a candy thermometer, continue stirring until the caramel reaches 243ºF - 245ºF. Pour the caramel into the prepared sheet pan and tip the sheet pan back and forth so that it spreads evenly. Allow to cool and set, about 1 hour. Candy thermometers are notoriously "off" so you can also do the ice water test by dropping a small amount of caramel into a glass of ice water. 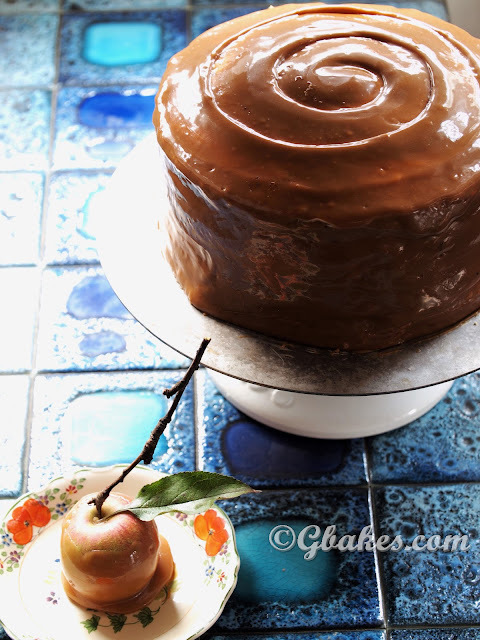 The caramel should "sieze" into a soft ball of caramel but still hold its shape. Once the caramel is set, the sheet should hold its shape but still be very malleable. A bendy sheet of caramel. In the bowl of a stand mixer fitted with the whisk attachment, add the gelatin and water. Stir to combine and saturate the gelatin. In a large, heavy saucepan, combine the sugar, corn syrup, salt and vanilla. Stir over low heat until the sugar has melted. Attach a candy thermometer and heat to 240ºF. Carefully pour the hot sugar mixture down the side of the mixing bowl and into the gelatin while the mixer runs on medium speed. 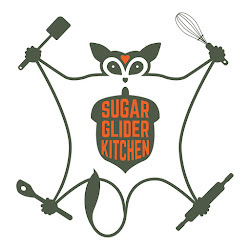 Once all the sugar syrup is added, increase the speed to fast and whisk until the marshmallow is white, fluffy and the bowl is cool to the touch. Spray a large rubber spatula and a large offset spatula with non-stick cooking spray. Cut the caramel in half width wise. Using the rubber spatula, scrape the marshmallow from the bowl and divide evenly among the two halves of caramel. 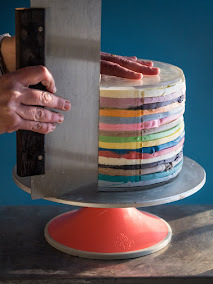 Using the offset spatula, spread the marshmallow in an even layer over the caramel, keeping a slim section of the caramel exposed where the cut's made. Allow to set, about 2 hours. 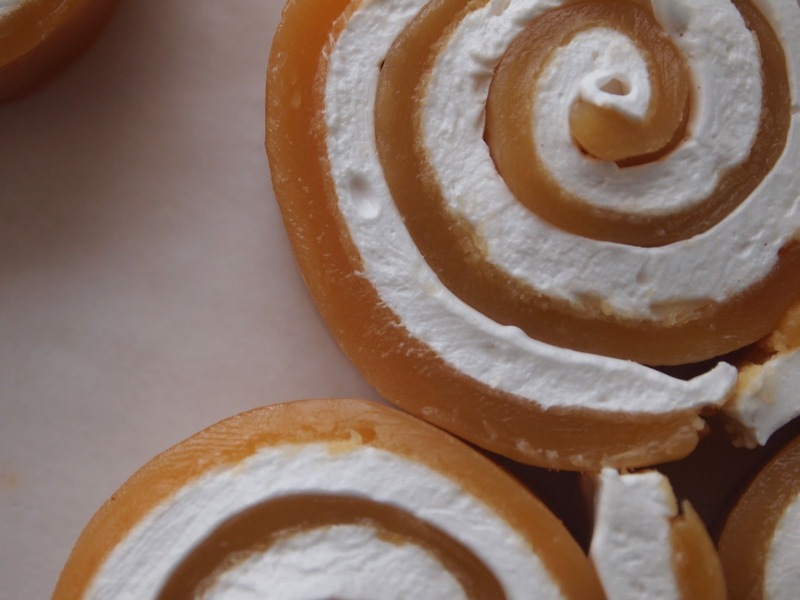 Roll each side of the marshmallow caramel into a tight roll, starting at the "naked" end. Wrap in a piece of parchment tightly and refrigerate for 10 minutes. Cut the roll into 1/2" rounds with a sharp, serrated knife. Wrap each individual round in wax paper.